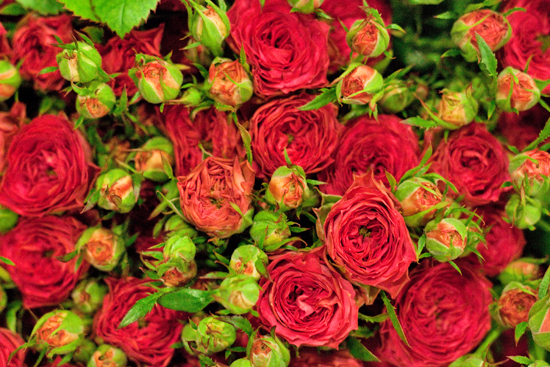 Spray roses, the little perfectly formed floral relatives of standard size roses, are the topic for this month's Product Profile. 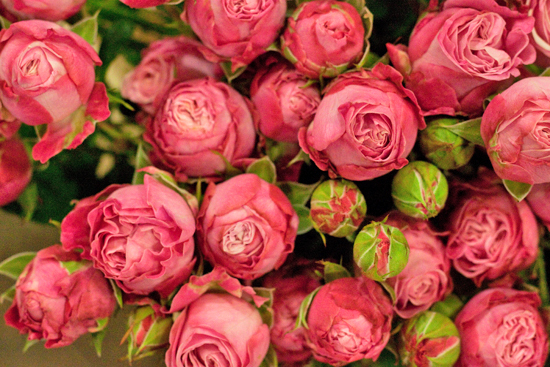 From the Rosaceae family, spray roses have clusters of small blooms on one single stem. 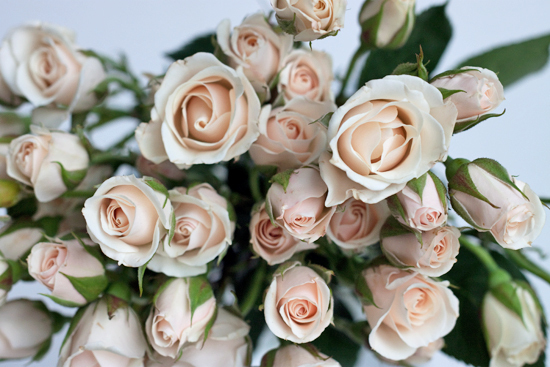 The number of flowers per stem varies, but you'll usually find that there will be five to seven blooms. 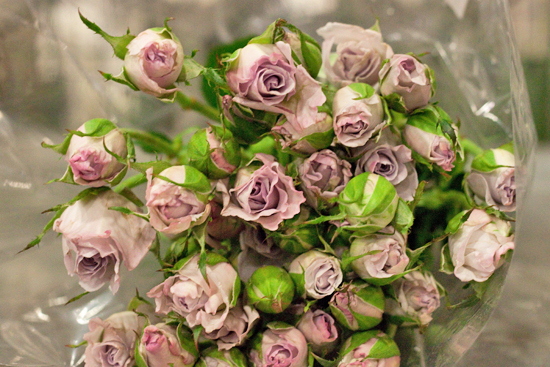 Noteworthy too is that their stems are often thornless or almost thornless. 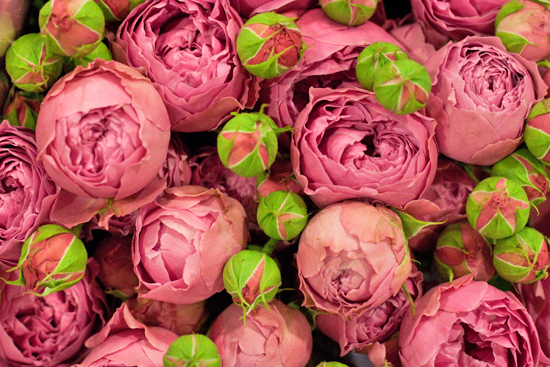 There's a little confusion as the origin of the name, rose. 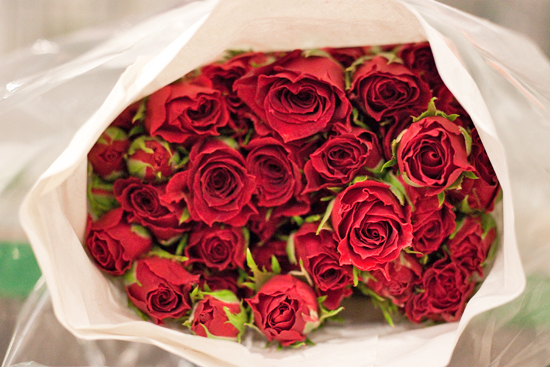 Some are of the opinion that it comes from 'Rosa', the Latin for red. 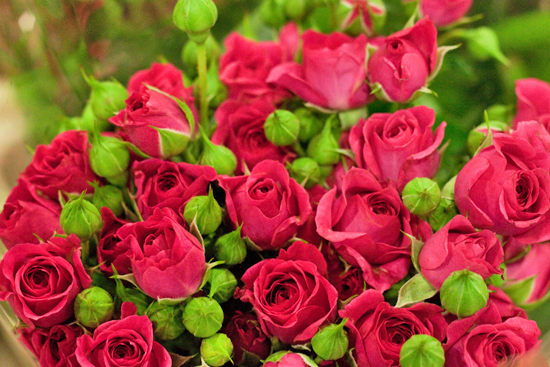 And others feel that it comes from the Celtic 'rhod', also meaning red. 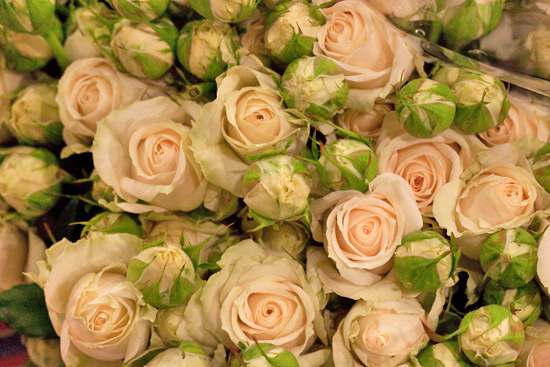 Available all year round, they're more sought after at New Covent Garden Flower Market during the wedding season, from May through to August. 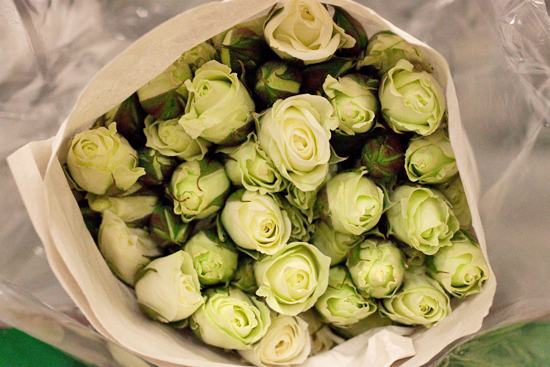 And they tend to come from Holland, Colombia and Ecuador. 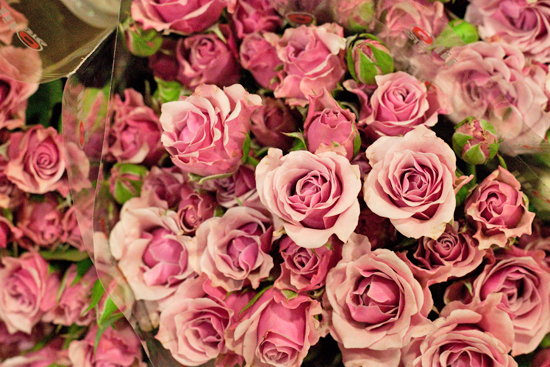 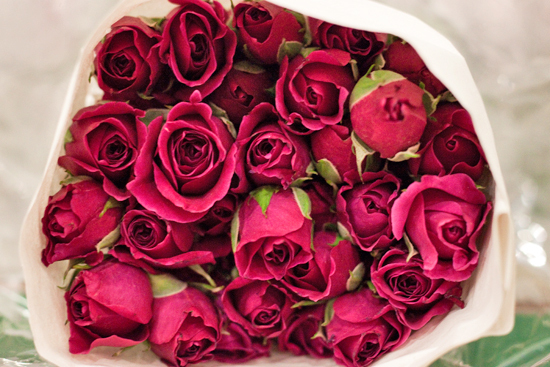 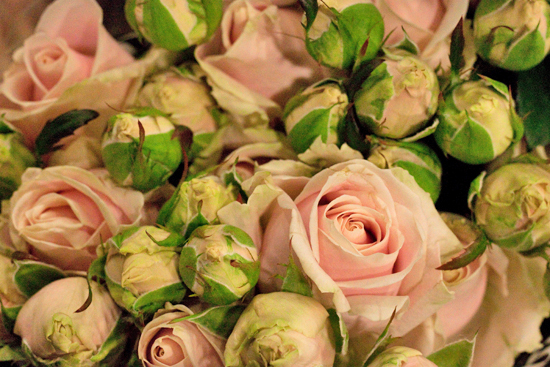 Spray roses are available in a wide range of colours. 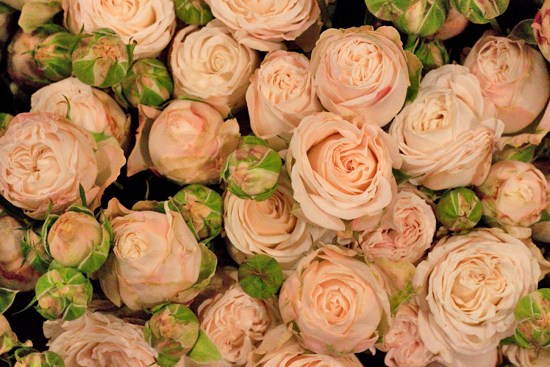 And the Avalanche varieties tend to have larger flower heads. 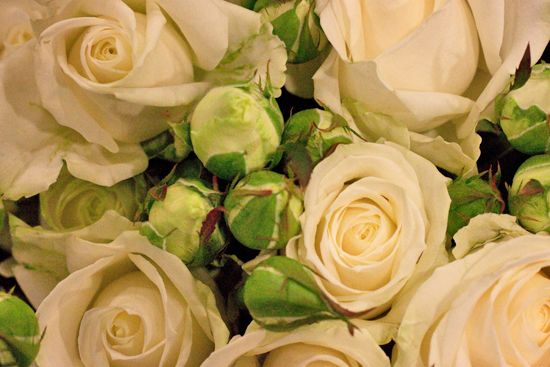 Here are some of the types you can currently find at Nine Elms. 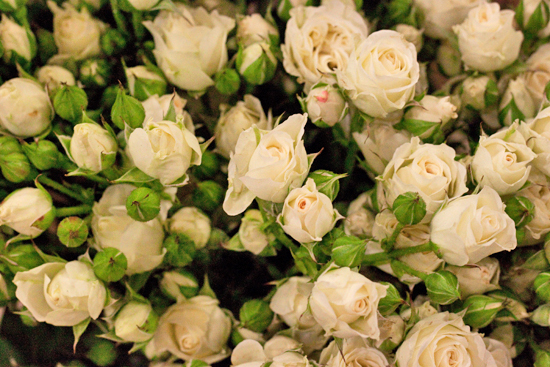 S Robert Allen have one of the biggest ranges of spray roses at the Market. 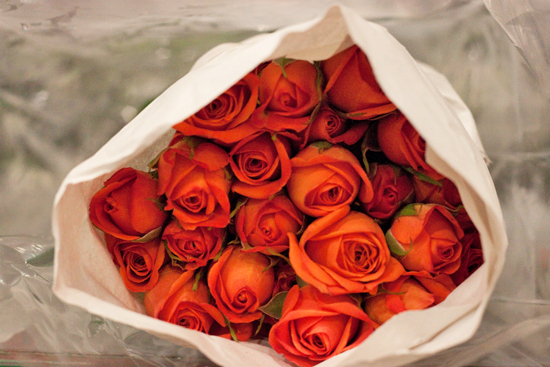 And Trevor is the gentleman in the know, should you have any questions whatsoever. 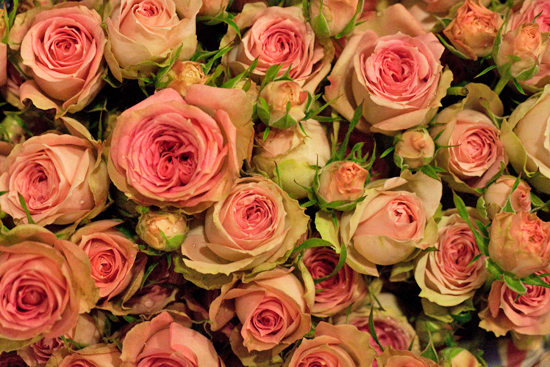 Below top right are Ilse spray roses and bottom right are Pink Majolica (also sometimes known simply as Majolika). 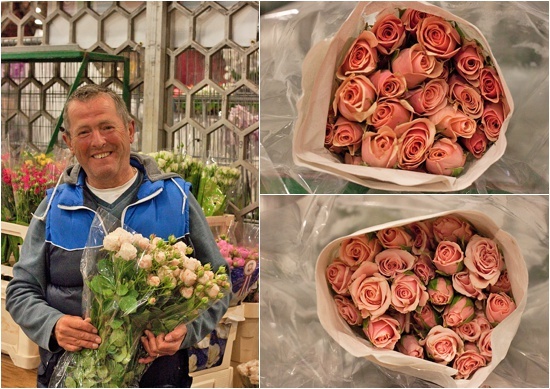 Spray roses come in bunches of 10 stems and traders, like Graeme at Zest Flowers are very happy to order in a specific variety for a wedding. 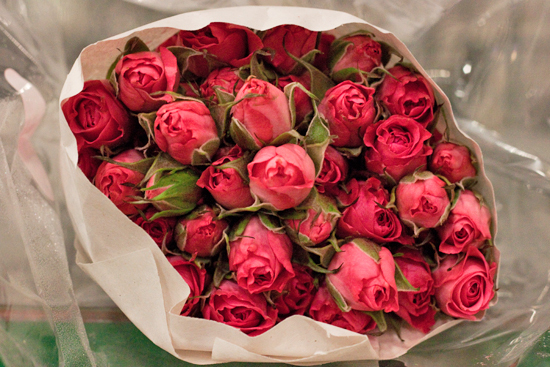 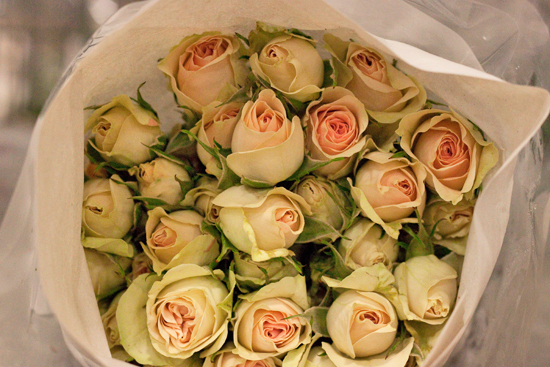 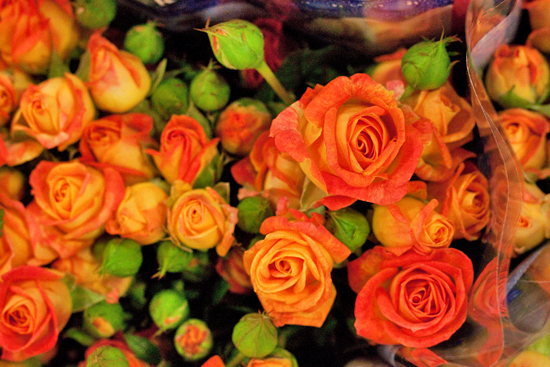 Treat and handle spray roses in the similar way to standard roses. 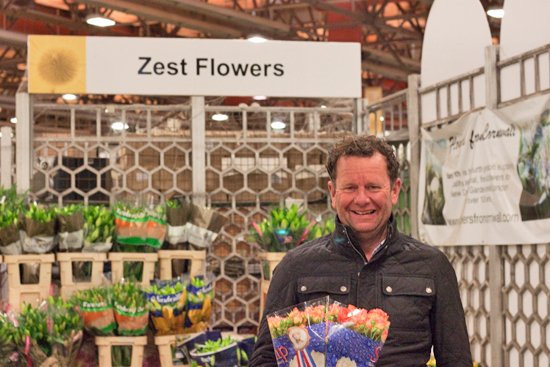 They generally have a vase life of 8-12 days. 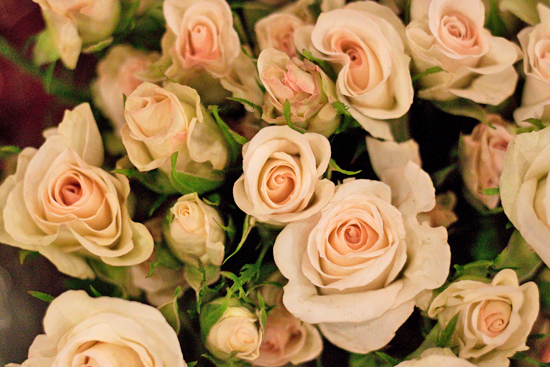 Spray roses are perfect for adding another dimension to wedding work. 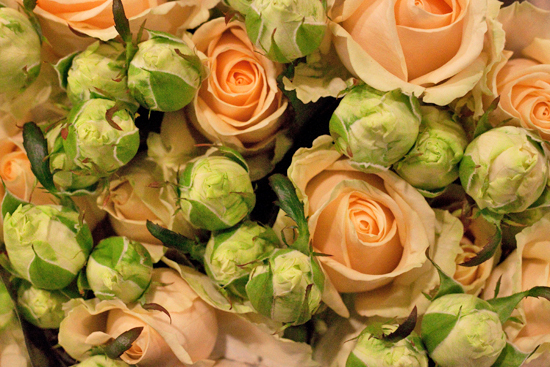 They're the ideal size and weight for corsages, buttonholes, headdresses and cake decorations. 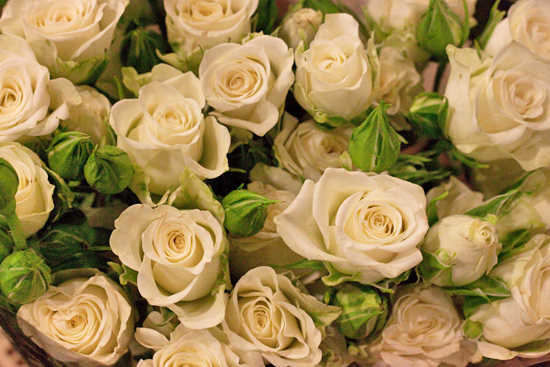 Plus they look wonderful in bridal bouquets. 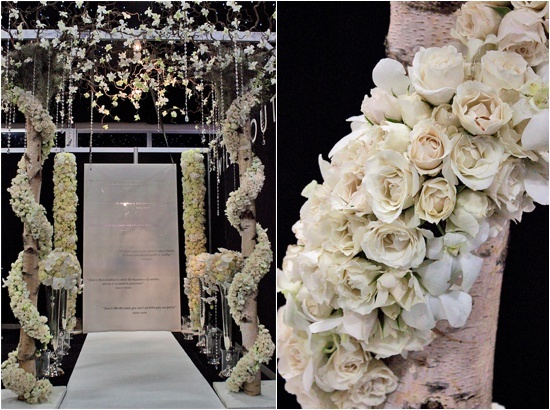 These stunning wedding designs below were created by By Appointment Only Design. 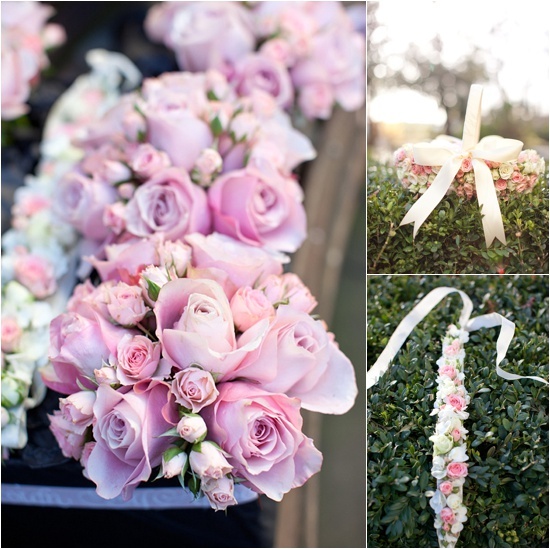 The bridesmaids' bouquets, flower basket and the dainty co-ordinating headband for the flower girl all feature spray roses. 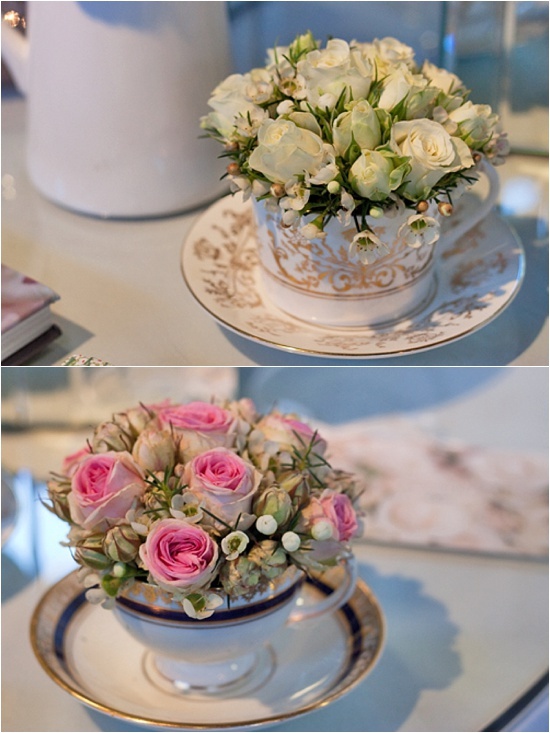 At the recent Brides The Show, The Covent Garden Academy of Flowers created these pretty vintage style teacups using spray roses. 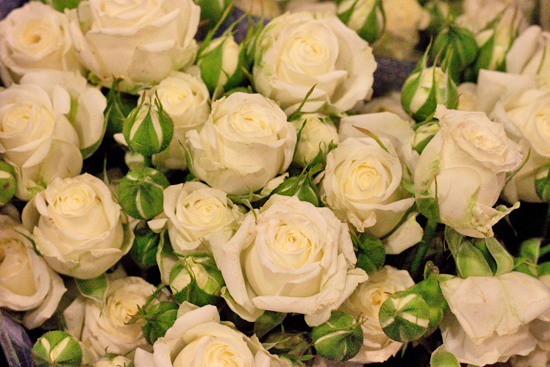 And at the inaugural Brides The Show, Wildabout used spray roses in these breath-taking garlands.